“KCR is eyeing on properties in Andhra Pradesh. KCR is hatching a conspiracy to rule AP indirectly by using YSR Congress party and Jagan is dancing to his tune,” the Chief Minister said addressing a poll rally here. “I will not allow KCR to play politics in AP," he said, adding that Jagan colluded with KCR and Prime Minister Narendra Modi is supporting KCR. Naidu promised to increase the old age pension to Rs 3,000 from the existing Rs 2,000 per month and assured to bring Godavari water to Venkatagiri. “If Jagan comes to power, no industrialist will come forward to invest in AP. 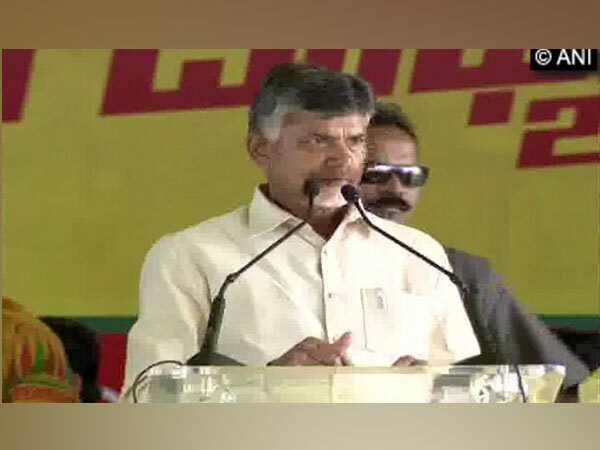 There are a number of cases including CBI and ED pending against Jagan,” the Chief Minister said, urging the people to vote for TDP for a stable government. Naidu is going to contest from Kuppam seat in Chittoor district for the seventh consecutive time. He had contested from the seat for the first time in 1989.